Social Media for restaurants & Social media as a payment method ? Photos, shares, ratings, likes… it seems like nobody goes to a restaurant anymore without documenting it online. People sit there letting their food get cold while they snap the perfect pic of their plates. Those pics can benefit both them and the restaurant, though. Lots of places offer their patrons incentives to share their dining experience on social networks: free drinks for new followers, discount coupons for positive ratings, appetizers for likes. In exchange, the restaurants get free advertising and plenty of additional exposure. 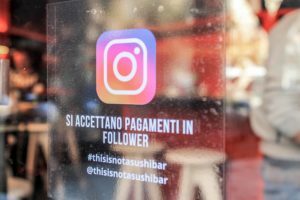 In Milan, This is Not a Sushi Bar is taking the idea one step further: they accept large numbers of followers as a form of payment. A pair of chopsticks holding a piece of sushi in front of a duck-lipped selfie. Diners gazing dreamily at perfectly arranged plates. Instagram users from all over Milan are happily—and profitably—posing for their followers along these red walls. At This is Not a Sushi Bar, for people with enough social media influence, the food is on the house. Having at least a thousand followers gets you one plate of free sushi, 5,001 and up nets two, over ten thousand followers is worth four plates, and users with up to 50,000 followers can indulge in eight. Anyone with more than that can have as much as they like. 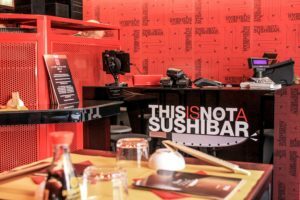 It’s a matter of give-and-take, of course: hungry Instagrammers can only claim their prize after sharing appetizing sushi photos with their adoring flocks, including a link to the restaurant and the hashtag #thisisnotasushibar. In the end, everyone wins—more follows equals more fishy treats, and more followers means more exposure for This is not a Sushi Bar. Since starting the campaign, the restaurant has doubled its number of followers. It’s hard to say how many of them were a direct result of the campaign, but either way, it’s been a fantastic PR vehicle: More than a thousand posts with the hashtag have already been put up, most of them by people who have at least a thousand followers of their own. But can a restaurant that trades fish for fame pay its suppliers? This is Not a Sushi Bar’s own information indicates that most of its revenue comes from delivery meals, so the food-for-follows plan isn’t a financial problem. Three quarters of millennials can hardly imagine sitting down to a meal without taking a picture of it. The Food-and-photo mecca Instagram, which is chock full of pics tagged #foodporn and #yum, is already well over the one billion users mark. This is Not a Sushi Bar seems to have hit upon a very promising method of mobilizing all those users: influencer marketing. The approach focuses on social media users with relatively large numbers of followers, people who serve as multipliers for ideas. To them, social media is a stage; to the restaurants capitalizing on their influence, it’s a welcome marketing opportunity. The more followers these food bloggers, meal preppers, and other influential foodies have, the more restaurants benefit when those “foodfluencers” share pics of their meals. Consumers’ drive to share their culinary experiences online represents a treasure trove of potential for the restaurant scene. When used properly, social media channels can provide all kinds of benefits. Besides helping a restaurant get its name out into the world through user posts or its own channels, social media helps businesses establish and maintain their image, makes communication with target groups easier, and provides an avenue for targeted advertising. 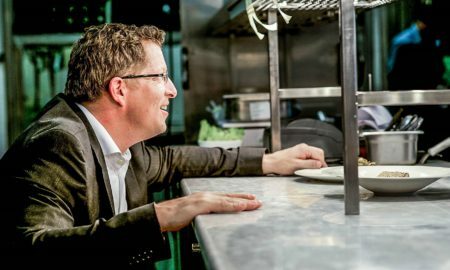 Shares and likes are cheap, effective forms of advertising—if restaurateurs can learn to make the most of the online framework. Social media users are visual creatures, drawn to attractive locations and eye-popping dishes. Fuzzy, poorly lit shots aren’t going to make anyone beat a path to the door, and they’re not likely to draw many likes, either. More and more restaurant owners are recognizing the importance of making their interiors and their menus as Instagrammable as possible to encourage shares. Creative dishes with elaborate garnishes, shown under natural lighting in photogenic settings, are what make social media users’ eyes light up. 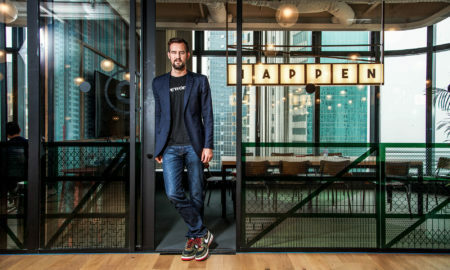 The right photos are practically marketing campaigns in themselves—users will post restaurant links of their own accord, which encourages other users to do the same. But do the posts just make people hungry in general, or do they actually translate to better business? According to one Zizzi study, users of photo-sharing networks like Instagram use them to decide not only what to eat, but where. Around a third of the 18-to-35-year-olds surveyed said they tried to avoid restaurants with weak online presences. Here in the polished world of social networking, though, all that glitters is not gold. Though This is Not a Sushi Bar is doing well with its not-entirely-new idea, you might say there’s a filter on this picture of success. 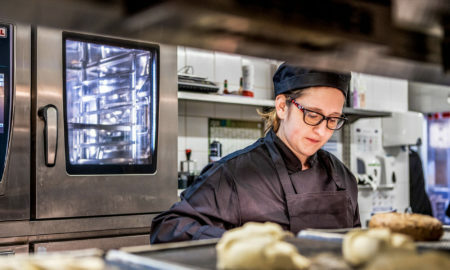 In an interview with the British Daily Telegraph, Matteo Pittarello, one of the restaurant’s two founding members, admitted that similar concepts had failed in the past. A London pop-up using a similar concept folded after just a few weeks, as did a restaurant in St. Petersburg. Even so, Pittarello thinks their place will be able to make the food-for-follow method a permanent installation. 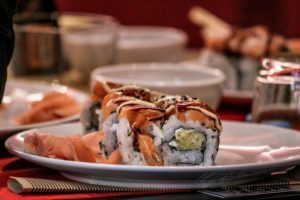 Since This is Not a Sushi Bar is just one of the six restaurants in their chain, the experiment would be bearable even if it failed, and until then, they’ll continue to enjoy continued exposure and visibility. Theoretically, the concept might fail under the weight of a sudden stampede of Instagram users demanding free sushi. One related problem is that fake followers are relatively easy to come by. 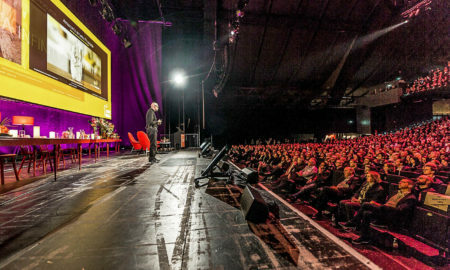 You can buy a thousand of them for under ten euros, which is a worthwhile investment for “fakefluencers”, users who artificially inflate their follower counts in order to get free perks. One well-known example is “Wanderinggirl”, who was created by mediakix, a marketing agency specializing in influencers. The fake account, stuffed with stock photos of a pretty blonde, gathered more than 63,000 followers in a matter of days. Lucrative offers started arriving in the mail soon after that… not bad for a made-up person. Besides the difficulty in determining whether followers are real, it’s relatively hard to tell how successful a social media strategy is: even if a user has hundreds of followers, that doesn’t necessarily mean all of them see a particular photo, thanks to the Instagram algorithm. And the more followers a person has, the lower the rates of engagement with each photo become. As such, marketing that focuses on Instagram users with fewer followers can actually offer greater chances of success than relying on a small number of people with huge follower counts. This can be a reason for restaurateurs to create conditions that will allow them to take advantage of digital recommendations from users without massive followings. Their appreciative postings not only see a higher rate of engagement, they’re also even more credible, which makes the campaign that much more attractive. Campaigns focused on these types of social media users can help restaurant owners generate a great deal of interest. Of course, they also have to put their money where their mouth is, and keep the promises they made in their offer—because happy customers are the best marketing of all.